When you install Windows 10 a new on a PC or run it for the first time if it comes pre-installed with the computer, you create the first user account during that process. The first is a guest account which Microsoft designed for users who access the device but don’t have a permanent account on it. We have details on activating the guest account here. 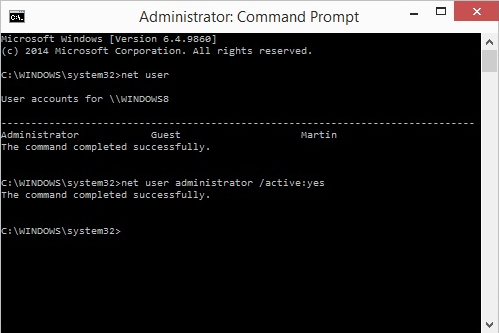 A core difference between the administrator account of the user and this built-in administrator account is that the former receives UAC prompts while the latter does not. The user account is an unelevated administrator account while the built-in administrator account an elevated one. The administrator account is active now which means that you can sign in to the system using it. It is not password protected by default which means that anyone with access to the system can use it to sign in to it.